It’s that time of year again: International Women’s Day! The theme for 2019 is #BalanceForBetter, because when women are represented equally—when the gender ratio is balanced—we ALL benefit. The data is clear on this: companies with meaningful numbers of women in leadership outperform their less diverse counterparts in almost every aspect. But it’s not just about the boardroom— "gender balance is essential for economies and communities to thrive." So how do we help build a more gender balanced world? Gender quotas are helping, yes, but we have to focus on the structural inequities too—like the one-size-fits-all workday. Why are we still forced to work in exactly the same way when the workforce is more diverse than ever and we all have unique sets of needs? The traditional 9-5 workday is holding too many people back, and women are hit the hardest. But there is a way to address it. Flexibility can play a critical role in balancing the scales in a sustainable way so that everyone can find the optimal work-life integration they need to succeed. And we’re not just talking about women’s ability to access flexibility—when men have access to the flex they need and are encouraged to use it, especially fathers and caregivers, we can achieve even greater balance, not just in the workplace but in all aspects of our lives. That’s why flex must be offered equitably and in a needs-agnostic way—because no one individual’s flexibility needs should be weighted more heavily than another’s. Whether it’s a woman who needs DeskPlus to achieve peak productivity, or a man who needs MicroAgility to respond to emergencies at home, all flexibility needs must be treated equally. 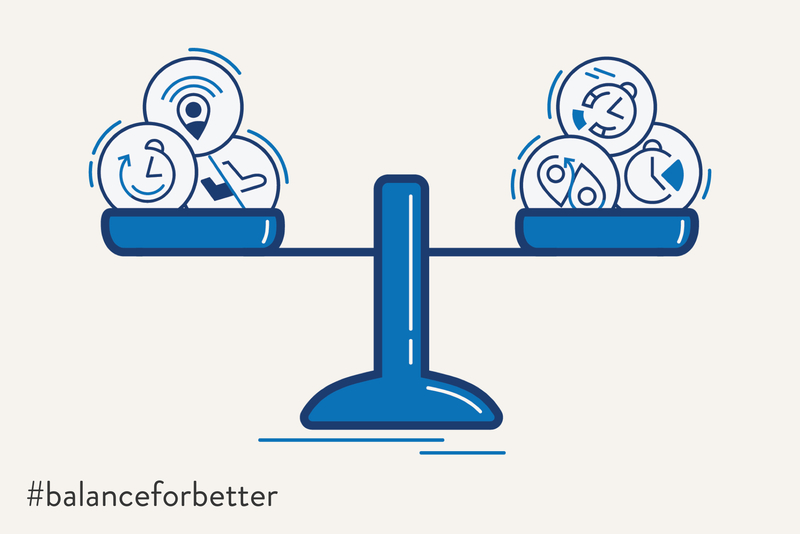 That’s how we can truly achieve #BalanceForBetter.